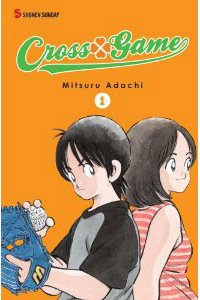 This entry was posted on Saturday, July 3rd, 2010 at 9:02 am and is filed under Previews, Tokyopop, Viz, Yen Press. You can follow any responses to this entry through the RSS 2.0 feed. Both comments and pings are currently closed. 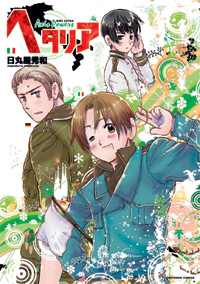 I’m with you, I don’t see the Hetalia hysterics, but Cross Game and Bunny Drop, now that’s what I am looking forward to. I’ wish sport manga did better, because it’s just about my favorite genre. I’m excited about Cross Game. I’ve read some Adachi in scanlation and was waiting for someone to try publishing some baseball manga. It could do well if they can actually get it to an audience that would care (ie people who like baseball). Though, having read the first chapters at ShonenSunday, it is confusing to see that all Adachi’s characters across series seem to look exactly the same. One other Manga title I ordered solely on the cover art alone (and which no other comic site seems to has mentioned) is The 14th Dalai Lama: A Manga Biography. Was on page 308 of the latest Previews. It’s not very often I blindly request something, but I was quite impressed with the artwork on the cover. It kind of reminds me of The Secret of Kells movie. Hopefully, the interior will be as compelling as the exterior. That’s really interesting, DanielBT! I might have to grab that one, myself. in case you’d like to know more. Rats, I didn’t know it was a reprint rather than a new book. Now that I remember the review, I’m feeling less enthusiastic for the bio than I would’ve been. The other cover there was too busy (with various photos of the Dalai Lama himself) compared with the new printing. Yeah, the new cover is definitely an improvement. I wasn’t sure about match, either, until I checked the author.